For sale in Cheltenham. 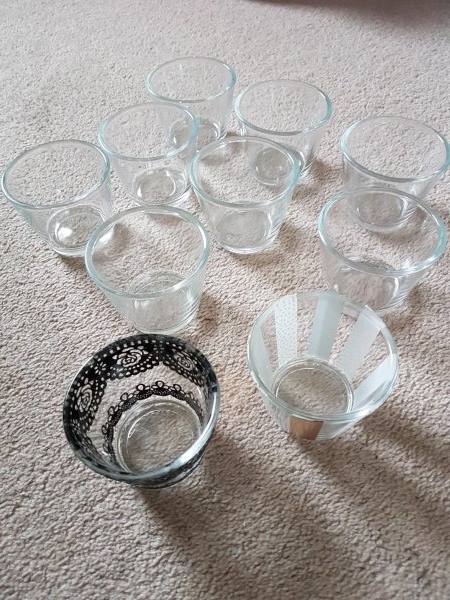 Job lot of 40 clear glass, slightly tapering tea lights. (Some decorated, can be removed). £44.00. Can also be sold proportionately.